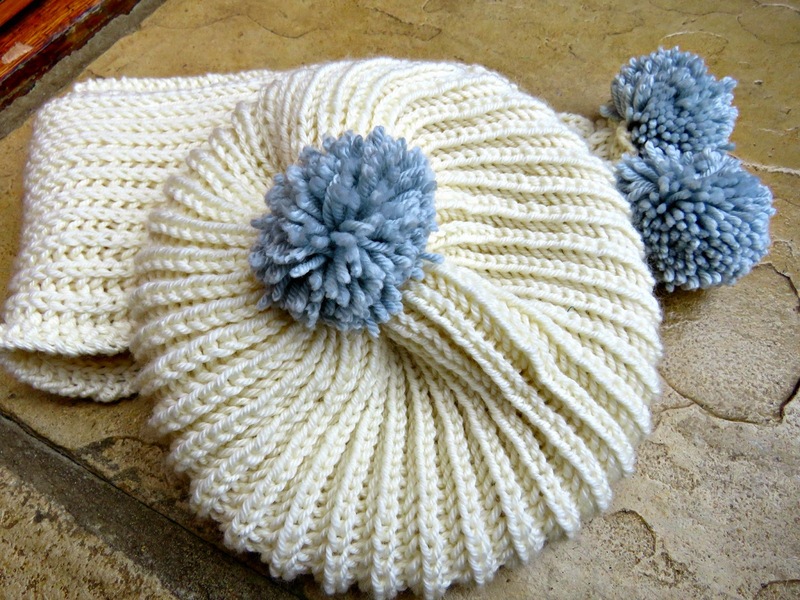 I've just finished a pom pom hat to match the Fisherman's Rib Scarf that I posted a couple of weeks' ago. And here it is, beautifully modelled (below) by my favourite caterer's size pickle jar. I'm having a bad hair day, so I thought I'd substitute a large pickle jar for my own fair noggin. I always feel like a total numpty when I have to take pictures of myself. I know this is the age of the selfie ... but not today ... not for me. My love affair with Fisherman's Rib continues to burn brightly. It's such a great stretchy stitch with a lovely drape. I've got a nice over-sized boyfriend's cardigan idea gestating at the back of my mind. It would be a great stitch to use to create a wonderful casual cardigan for keeping cosy on the nippier days of spring. Maybe I'll start off with a mini-me version for my son, Emi, first. 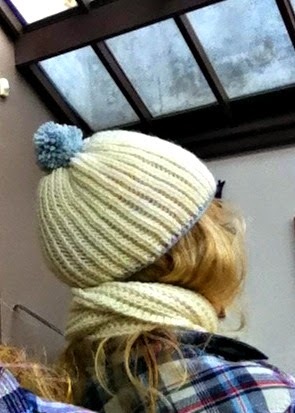 Anyway, back to the present and my pom pom hat. I've used the same colours as I used for the scarf, which are from the beautiful Debbie Bliss Cashmerino Aran range; they are the wonderful buttery cream that is colour number 300101 and the very gently blue/grey (they call it silver) that is colour number 300202. 2. to decrease your Fisherman's Rib at the crown you need to come down to a number of stitches that is a factor of six so that you can work the knit 3 together, purl 3 together decrease without messing up the rib on the uppermost part of the crown. It doesn't matter if you've got a couple of stitches left over as long as you continue to work them in rib whilst you work the shaping. It's not brain surgery, and it doesn't need to be totally precise as long as you hold the rib pattern. I started off by casting on 76 stitches using the icord cast-on method, and marked the end of the row with a piece of wool in a contrasting colour, so that I'd know when I'd finished one row and started on another for the pattern. Do you know how to do icord cast-on? 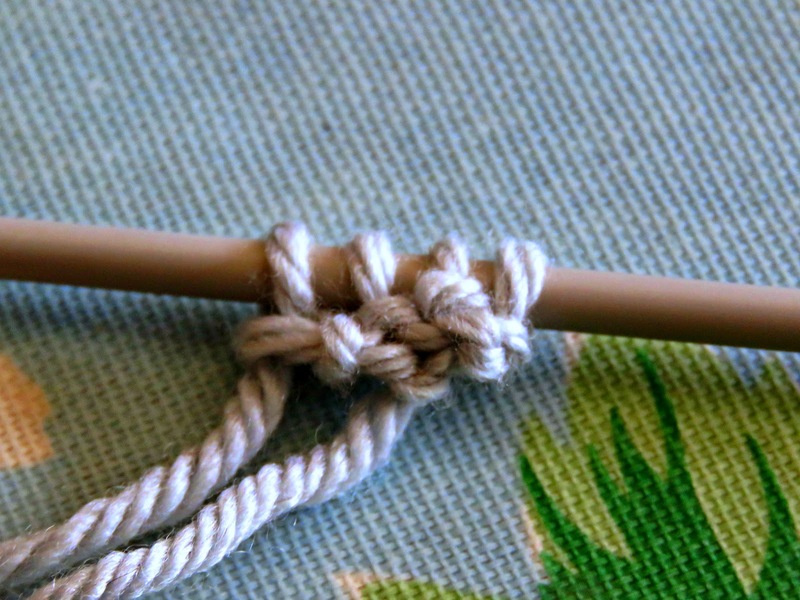 It's a really whizzy way to create a fancy edging when you cast on, and it's easy once you get your head around it. 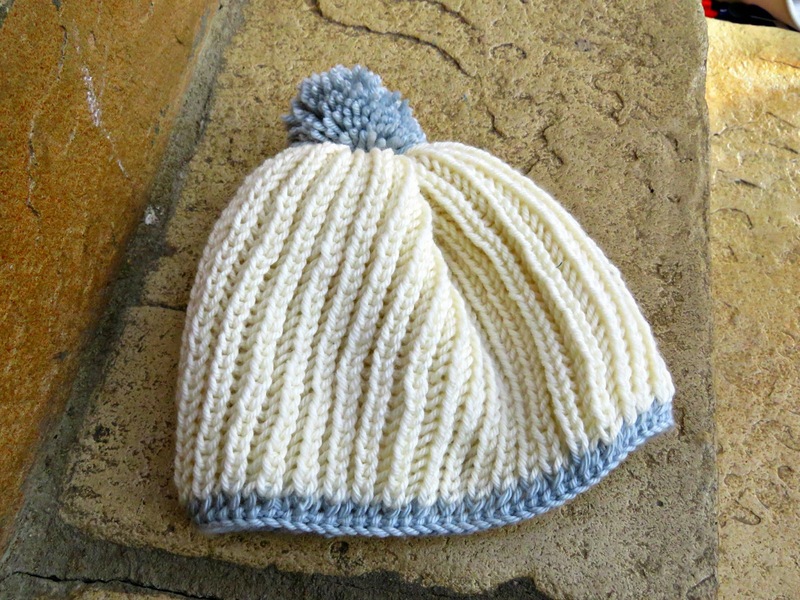 I find it easier to cast the stitches on using a pair of straight needles, and then transfer the finished number of stitches onto the circular needles to knit the body of the hat. Basically you need to cast on 3 stitches. On the first row increase by knitting twice into the first stitch. You will end with 4 stitches on the right hand needle. Slip the last three of these stitches (with the live-end of the wool) back onto the left needle, leaving one stitch on the right hand needle. Knit into the front and back of the first stitch on the left hand needle, pulling the live-end of the yarn across the back of the three stitches on the left hand needle. Knit the remaining 2 stitches on the left hand needle. You will now have 5 stitches on the right hand needle. 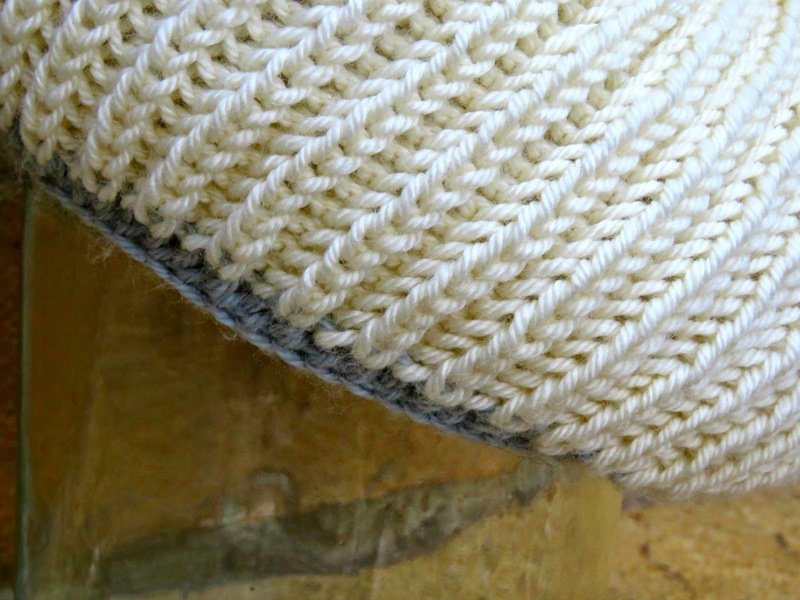 As you carry on, pulling the live-end of the wool across these last 3 stitches, you effectively pull them into the tubular shape that forms the icord, as you close the cylinder with the tension of the wool being pulled across to begin the next row. 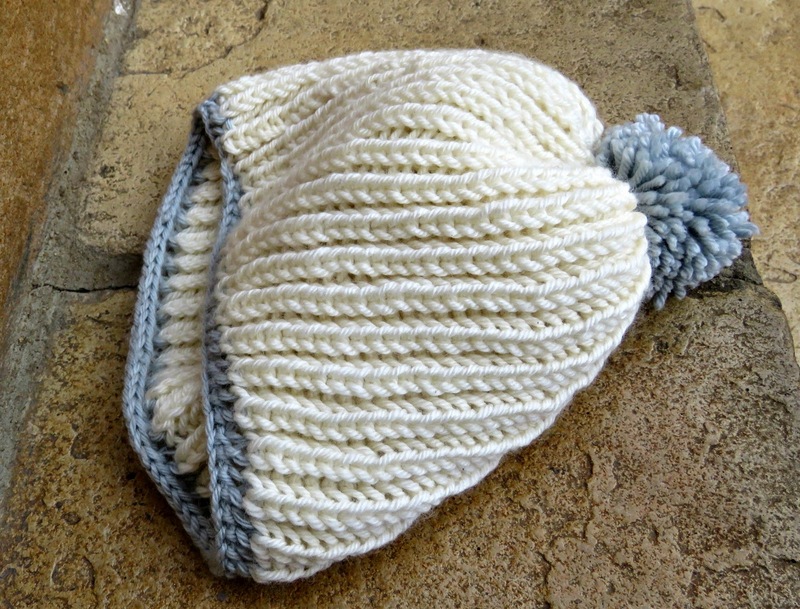 It forms a garter stitch as all the stitches are knit in the same direction without turning. Slip 3 of those stitches closest to the live-end of the wool back onto the left hand needle and carry on until you have a total of 76 stitches knit onto the right hand needle. 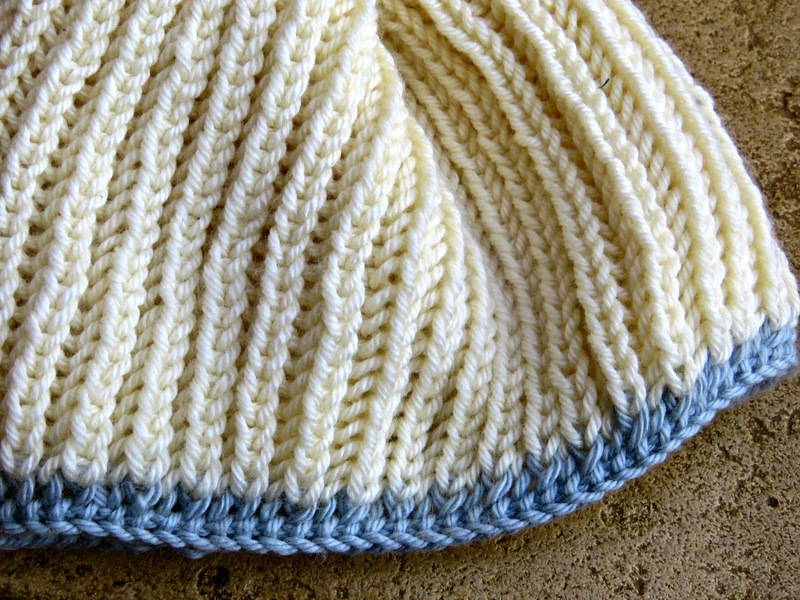 Slip all of the stitches onto your circular needle to knit the rest of the hat. 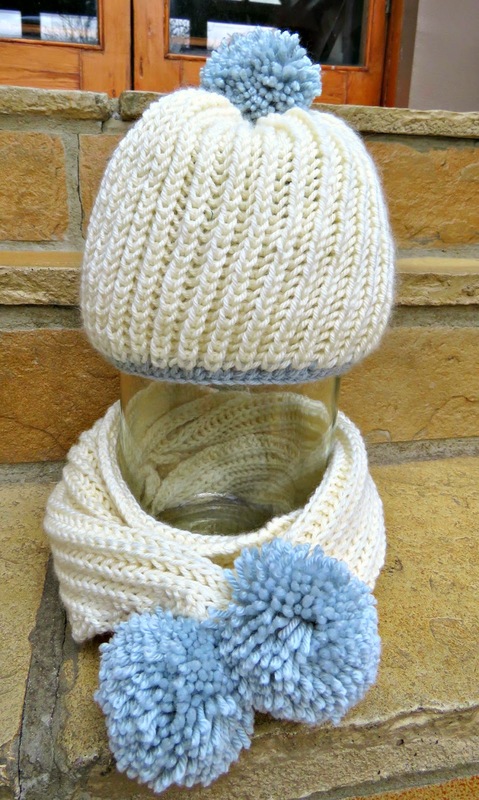 I used a 4 mm, 20 cm cord circular needle. The foundation row is a plain knit 1, purl 1 all the way around. 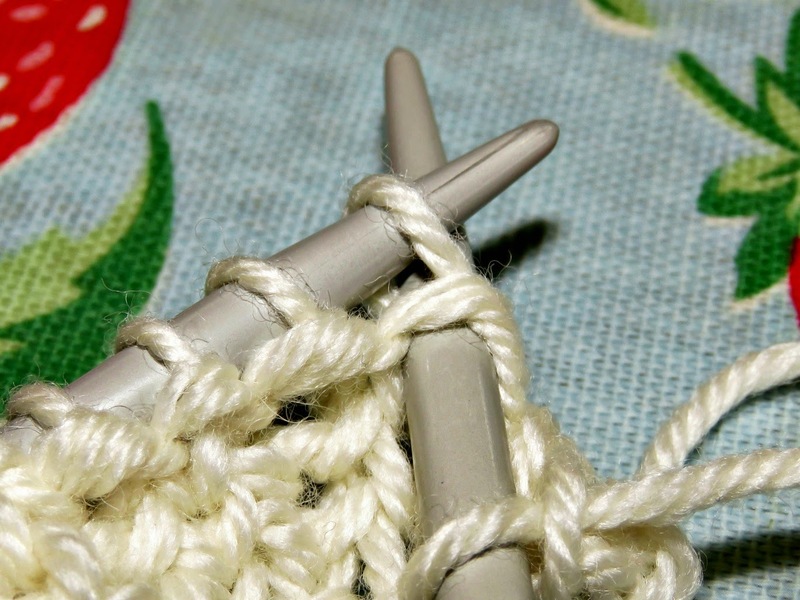 You need to join the two ends of your straight row for the first stitch, making sure that you've got the knitting straight before you make the join. The Fisherman's Rib pattern starts on the next row. Row 1: Knit 1 Below, Purl 1 all the way around. With the Knit 1 below you're knitting into the loop of the stitch on the previous round, just like I did when knitting the Fisherman's Rib Scarf pattern. Row 2: Knit 1, Purl 1 below all the way around. With the Purl 1 below stitch you work a purl stitch into the loop of the purl stitch from the previous round. Repeat Rows 1 and 2 until you are ready to shape the crown. I kept going until my hat was 17 cm long (including the icord bit). I was aiming for a snug fit with a perky pom pom perched high on the crown of my head. 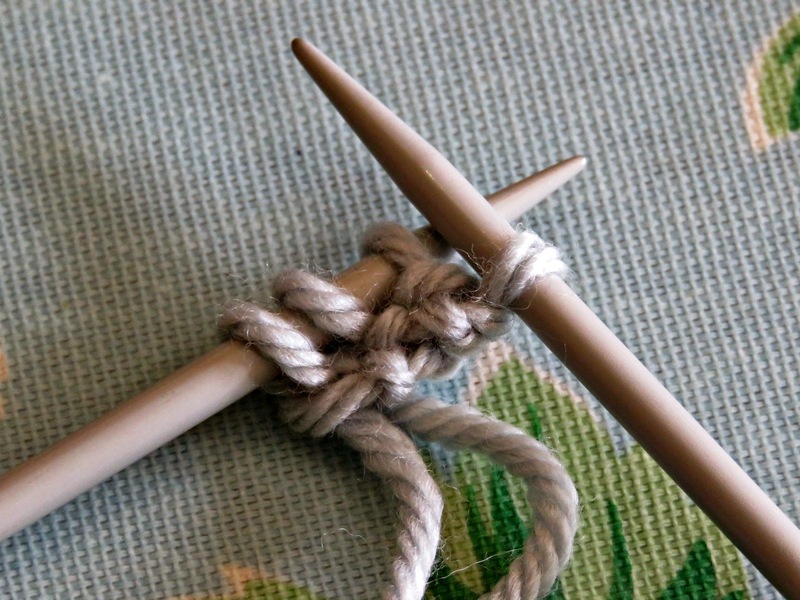 This will be easier to work on a set of double-pointed needles. I also like to use needles that are a size smaller to keep the tension consistent over the decreases, so I slipped my work onto a set of 4, size 4 mm, double-pointed needles to finish it. Row 1: *K3 tog, P1, K1, P1*. Repeat from * to * 12 times to the last 4 stitches, and rib those last 4 stitches as normal. By the end of this row you should have 52 stitches. Row 2: Work in the normal rib pattern. Row 3: *K3 tog, P3 tog*. Repeat from * to * 8 times to last 4 stitches, and rib those last 4 stitches as normal. By the end of this round you should have 18 stitches. Row 4: Work in the normal rib pattern. Row 5: *K3 tog, P 3 tog*. Repeat from * to* all the way around. By the end of this round you should have 6 stitches. Draw the wool through the remaining 6 stitches with a darning needle, and darn in all your loose ends. 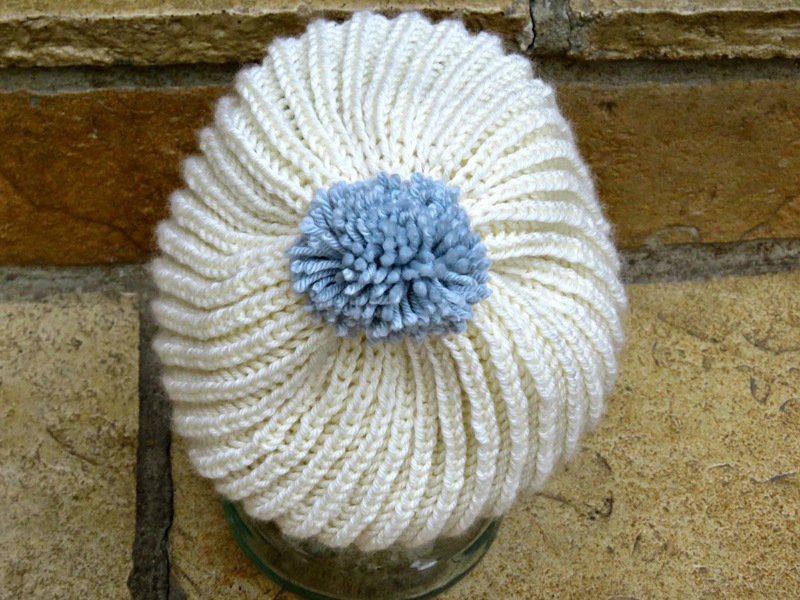 Make a pom pom in contrasting yarn, tie it with the main colour yarn and sew it on top. 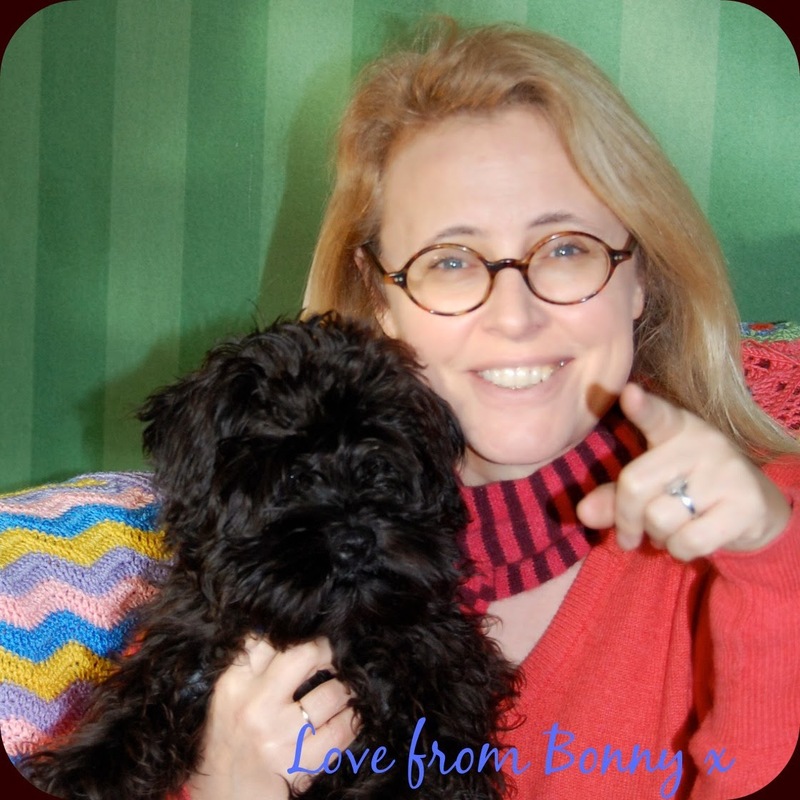 I've explained how I make pom pom on the Fisherman's Rib Scarf pattern if you'd like any more information on the fine art of pom pom making. I love your cap and scarf! How awesome that you knit them yourself. I've always wanted to learn, but don't have the patience.